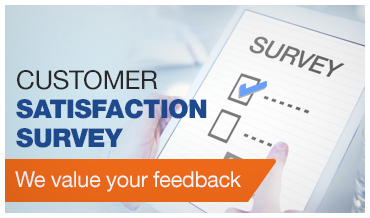 On behalf of the customers, the Bank issues a guarantee in favour of the beneficiary, against the performance of a particular job/contract, within a particular time. In order to verify Bank Guarantees (BGs) issued by Allied Bank, please contact in writing with ‘Unit Head-Centralized LGs (ABL Head Office, Lahore)’ at below mentioned address. Further, note that no branch/department/person other than mentioned below are authorized to verify BGs issued by Allied Bank. 6th Floor, Allied Bank Head Office, 3-4 Tipu Block, New Garden Town, Lahore. BG Details – Naked eyes see a border line around BG text. It contains BG details printed in small font which can be read when viewed in magnification. The mircroprint is exceptionally small font not printable by ordinary printers. The text is destroyed on reproduction / copy through photocopying or scan + print. Void Pentagraph: An invisible text “Not Original – Duplicate” is present on each BG. When copied, the text “Not Original – Duplicate” appears in multiple diagonal lines in the photocopy. 2D Bar Code: The bar code displays the details of BG when used with any bar code reader (including software on smartphones). Anti – Tampering Pattern: The front side of BG contains a background pattern which is a deterrent against tempering of the printed content of BG. Any attempt to alter / tamper the BG will damage the pattern thereby revealing the tampering attempt. 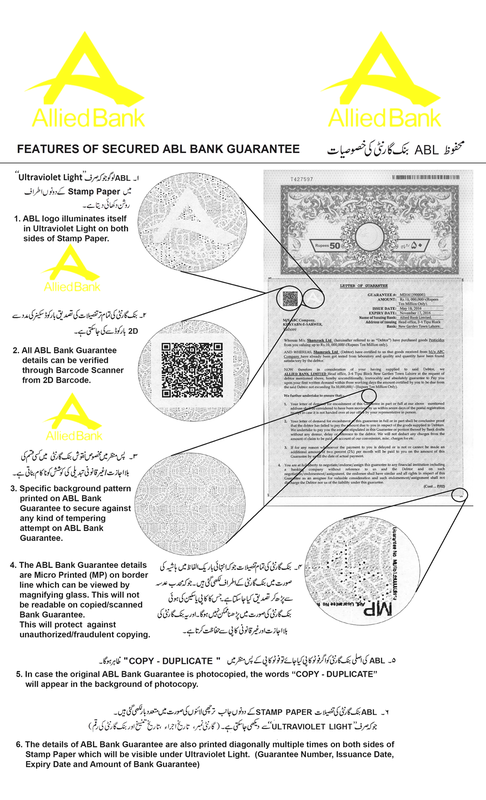 Details of BG Security Features: For the education of users of ABL BGs especially the beneficiaries and for the ease in identification of genuineness of ABL BGs, the details of security features embedded are printed in English / Urdu on the back side of all ABL BGs.